My blood pressure has been inching up recently, and although I don’t yet have high blood pressure, I’m on the lookout for ways to reduce it. Recently I came across some information about flaxseed and how it can help. Can you tell me more about it? There is some evidence that flaxseed may help reduce blood pressure, but it doesn’t appear to be a silver bullet. 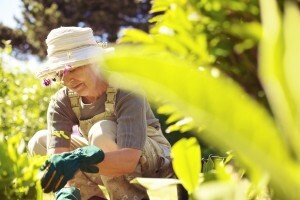 First, good for you for taking steps to prevent high blood pressure. Normal blood pressure is 119/79 or lower. High blood pressure, or hypertension, is 140/90 or higher. It sounds like you are in the middle — somewhere between 120 and 139 for the top number and 80 to 89 for the bottom number — which is classified as “prehypertension.” This is the perfect time for you to take steps to prevent high blood pressure from taking hold. Why? Hypertension is insidious. It usually has no symptoms, but it can cause stroke, heart failure, heart attack, kidney failure and other serious health issues. To prevent high blood pressure, the Centers for Disease Control and Prevention encourages a healthy lifestyle, which means eating foods low in sodium and high in potassium, including plenty of fresh fruits and vegetables; maintaining a healthy weight; being physically active; not smoking; and limiting alcohol (no more than one drink a day for women, and no more than two for men). These are the primary recommendations for reducing the risk of hypertension. And the bonus is that they have many other health benefits, too. Adding seeds such as flaxseed to your diet is one way to improve its quality. And studies on flaxseed have yielded intriguing results. A systematic review of 11 studies found that consuming flaxseed may very well help lower blood pressure slightly, with ground or whole flaxseed having a greater effect than flaxseed oil. The analysis, published in the Journal of Nutrition in April 2015, suggested the effect of flaxseed consumption was greater after about three months of eating 30 to 50 grams, or about 2 to 3 tablespoons, of flaxseed a day. 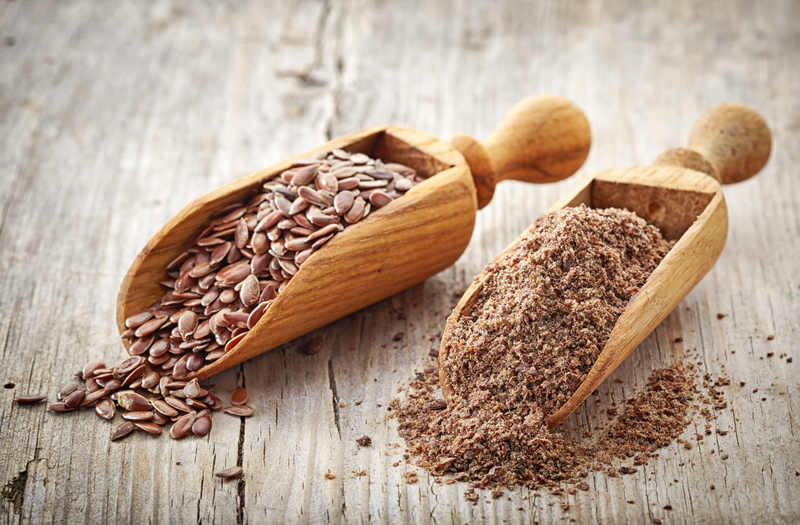 Flaxseed contains fiber, omega-3 and omega-6 fatty acids, and other nutrients. The high fiber content might prevent medications or supplements from being absorbed in the body, so don’t eat flaxseed at the same time as you take any of these. And, like other high-fiber supplements, flaxseed can cause constipation (if not taken with plenty of water) or other gastrointestinal issues. Tell your health care providers you’re trying flaxseed so they have a complete picture to help you manage your health. Editor: This column was reviewed by Irene Hatsu, specialist in Food Security with Ohio State University Extension. My wife was recently diagnosed with type 2 diabetes, and so we are both watching what we eat much more carefully. I was surprised to learn that she needs to be more careful about foodborne illness now. We think we do pretty good at following guidelines at home, but how can we find out about food recalls? Good for you for being aware that you need to be, well, more aware. While the Centers for Disease Control and Prevention estimates that 1 in 6 of us will suffer from foodborne illness every year, at-risk groups of people are more likely to get sick from contaminated food, and the illnesses can be much more severe. People with diabetes are 25 to 30 times more likely to get sick with listeriosis, for example, than a healthy adult. Anyone with a chronic health condition, such as diabetes or even cancer, HIV/AIDS or lupus, is more at risk. Other at-risk individuals include pregnant women, adults who are over age 65, and children who are younger than 5. And you’re right, if you’re relying on mass media or word of mouth, it can be hard to keep up with all the food recalls these days. In 2015, the U.S. Food Safety and Inspection Service issued 150 recall notices, and that agency covers just meat and animal products. There’s no single government agency to track all food recalls, but early this year, Food Safety Magazine (foodsafetymagazine.com) did a compilation itself, counting a total of 626 food recalls for 2015 from the FSIS and the Food and Drug Administration, the two agencies responsible for food safety in the U.S., as well as the Canadian Food Inspection Agency. As in most years, many of the recalls in 2015 were related to food packages not being properly labeled for food allergens, such as milk and dairy, peanuts, eggs, wheat, and soy. While that could be a serious problem for the estimated 15 million Americans who suffer from food allergens, it wouldn’t be an issue for you if no one in your household has a problem with those ingredients. Still, a number of major recalls were due to the presence of human pathogens. Fortunately, there’s an easy way to get notified by email whenever a recall is issued. Just go to foodsafety.gov, and click on Recalls and Alerts. Choose “Get Automatic Alerts” and fill in your email address. That way you’ll be notified of any recalls that have been issued. You also can view recent recalls on the website. For example, last month there was an expansion of an earlier recall of frozen fruits and vegetables produced by CRF Frozen Foods and marketed under dozens of brand names. The food items have been associated with a multistate outbreak of Listeria monocytogenes infections, which can be serious, and even fatal, for at-risk populations. Even if you sign up for email alerts today, you would miss that notice if you didn’t check the “See Recent Recalls” listing. When it comes to food safety, it’s always better to be safe than sorry. Editor: This column was reviewed by Sanja Ilic, specialist in Food Safety with Ohio State University Extension. I’ve never been a fan of Nutrition Facts labels, but a friend recently mentioned that she reads them all the time, using something called the “520 rule.” What is the 520 rule? Ah, she was talking about what is known as the ”5-20 rule,” and it applies to the Daily Value percentages that are listed on the label. Basically, it’s just a quick guideline to use when you look at those percentages to determine how a food might fit into your daily dietary goals. Any nutrient listed as 5 percent or less of the Daily Value is considered low. Any listed as 20 percent or more of the Daily Value is considered high. For nutrients you want to limit, such as saturated fat, cholesterol and sodium, try to choose foods with low Daily Value percentages. Foods with 5 percent or less would be great choices, while it would be smart to limit foods with 20 percent or more. For nutrients you want to get enough of, such as fiber, vitamins A and C, calcium, and iron, look for foods with 20 percent or more of the Daily Value. A food with 5 percent or less of the Daily Value for those nutrients simply isn’t a good source of them. By now, you are probably wondering, “What the heck is a Daily Value?” Simply put, the Daily Value is a generic nutrient-intake standard based on a 2,000 calorie-a-day diet. For key nutrients, the Nutrition Facts label provides percentages of the Daily Value that a serving of the food contributes toward the daily total. In reality, daily nutrient recommendations depend on your age and gender. 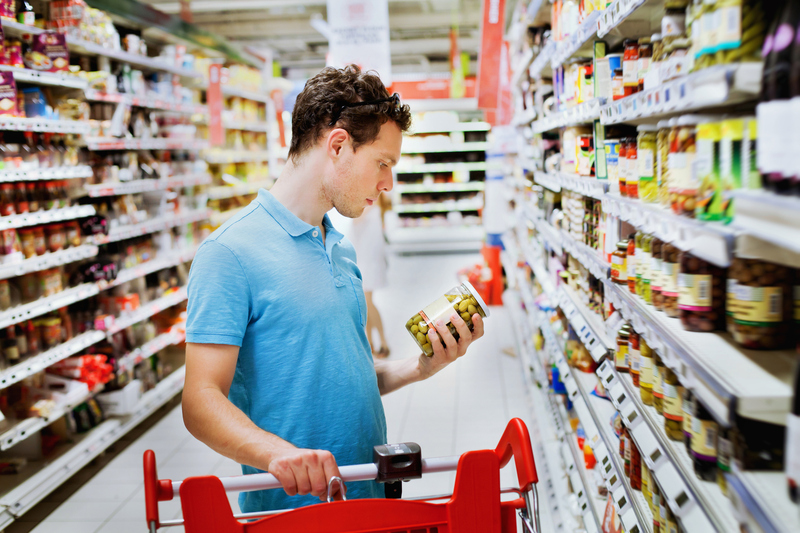 However, it’s not practical to have different food labels for each individual group, so Daily Values are used instead. Still, it could be important for you to know where your needs vary. For example, the Daily Value for calcium is 1,000 milligrams, so a food with 300 milligrams of calcium in it would have a Daily Value percentage of 30 percent. But teenagers need 1,300 milligrams of calcium a day, and women 51 and older and men 70 and older need 1,200 milligrams a day. So, even if you consume 100 percent of the Daily Value of calcium, you still might not be getting enough. Sodium is similar. The Daily Value for sodium is 2,400 milligrams, but that might be too much for some people, especially those with hypertension. Daily Value percentages aren’t listed for everything on the label. For example, you won’t see a percentage for trans fats, because, basically, there is no level of trans fat that’s recommended for consumption. You should keep it as close to zero as possible. Also, a Daily Value percentage for protein is listed only when a food makes some type of claim for protein, such as a high-protein breakfast bar. In those cases, the percentage is based on a total Daily Value level of 50 grams of protein a day. Once you start examining the Daily Values, you can find yourself getting lost in a bit of a rabbit hole. But you don’t need to know all the nitty-gritty to make them useful. Just use the percentages — and the 5-20 rule — to make comparisons between foods to help you make the best choices. We really enjoyed having corn on the cob on July Fourth. One of my children asked why we don’t have it more often. I explained that corn is a starchy vegetable and we shouldn’t eat too much of it. But it got me thinking, how much is reasonable? Yes, corn is a starchy vegetable. But it’s perfectly fine to enjoy it as part of a balanced diet. Most Americans get plenty of starchy vegetables because we eat so many white potatoes, which account for 80 percent of all starchy vegetable consumption, as well as 25 percent of all the vegetables we eat. That’s a lot of potatoes. While they’re a good source of potassium, and of fiber especially if you eat the skin, consider diversifying your diet and replacing some of those potatoes with other starchy vegetables. Including, of course, sweet corn. Corn is a good source of folate, beta carotene and thiamin along with other vitamins and minerals, and has more fiber than potatoes. It also provides zeaxanthin, an antioxidant that may protect against age-related eye disease, such as macular degeneration. One cup of corn has about 145 calories. (One medium-sized ear of corn has about two-thirds of a cup of corn.) But watch the butter and salt, which of course add significantly to the calories and sodium. Using spray butter (the kind in the pump-spray bottle) judiciously instead of spreading on butter or margarine can trim calories and still provide that familiar flavor. Or, try something different and roast corn on the cob on the grill. 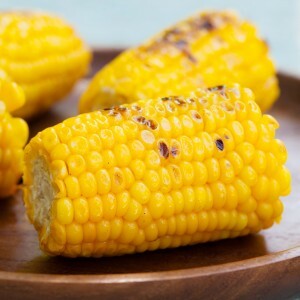 Just husk as usual, and then brush the corn with olive oil and place directly on a hot grill. Turn the cobs periodically and cook until the kernels are slightly charred. Instead of using salt, try pepper, garlic, or other herbs and spices for flavor. As you’re enjoying the traditional summer favorite, take a look at the other vegetables you commonly eat and make sure you’re getting plenty of variety, including dark green, red and orange vegetables as well as beans, such as pinto or kidney beans. The Dietary Guidelines recommend eating a wide variety of produce to get a broad array of nutrients. For more about vegetables, see choosemyplate.gov/vegetables. Editor: This column was reviewed by Carolyn Gunther, specialist in Community Nutrition Education with Ohio State University Extension. OSU Extension is the outreach arm of the College of Food, Agricultural, and Environmental Sciences at Ohio State.